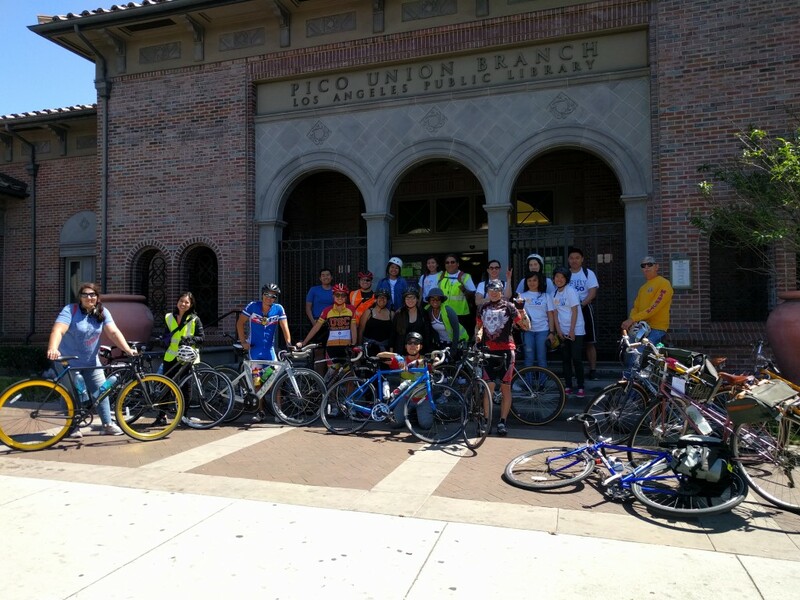 This past Saturday, APIOPA partnered with CICLE, Metro and Koreatown Youth and Community Center (KYCC) to do a great community bike ride through the Pico-Union neighborhood. 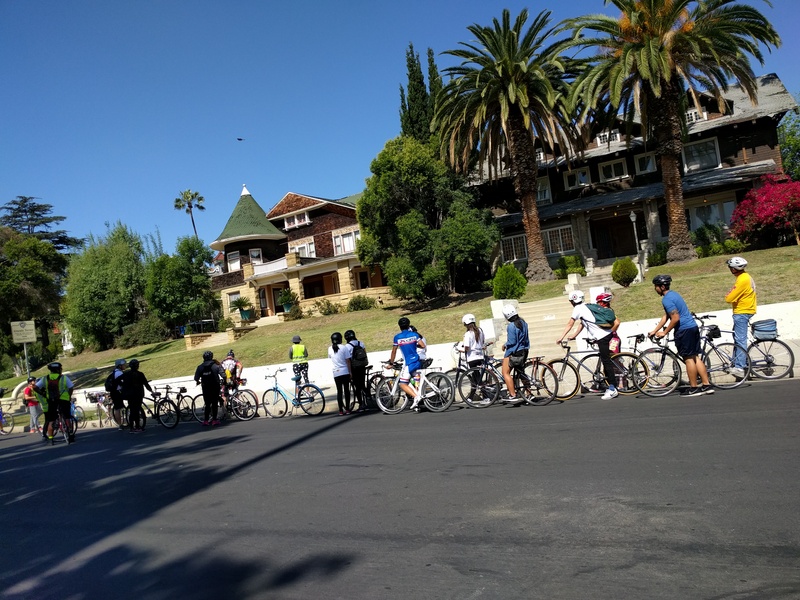 This 6 mile ride included visits to some of the more historic parts of the neighborhood, some great pit stops at a local pupuseria (Don Carlos), as well as 7/8 Liquor Store. 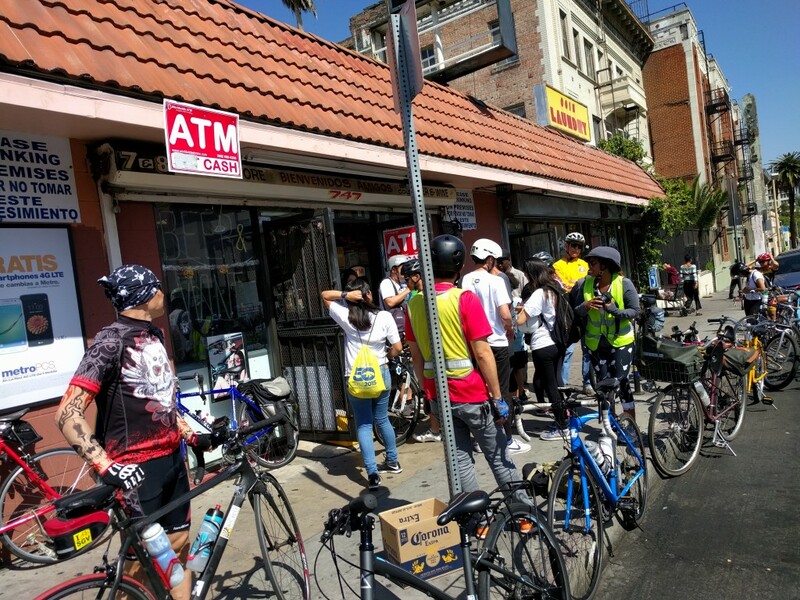 7/8 Liquor Store is one of the corner stores that APIOPA, in partnership with the LURN and the LA Food Policy Council, drops off fresh veggies to make healthy food more accessible and affordable in neighborhoods that don’t have large markets.